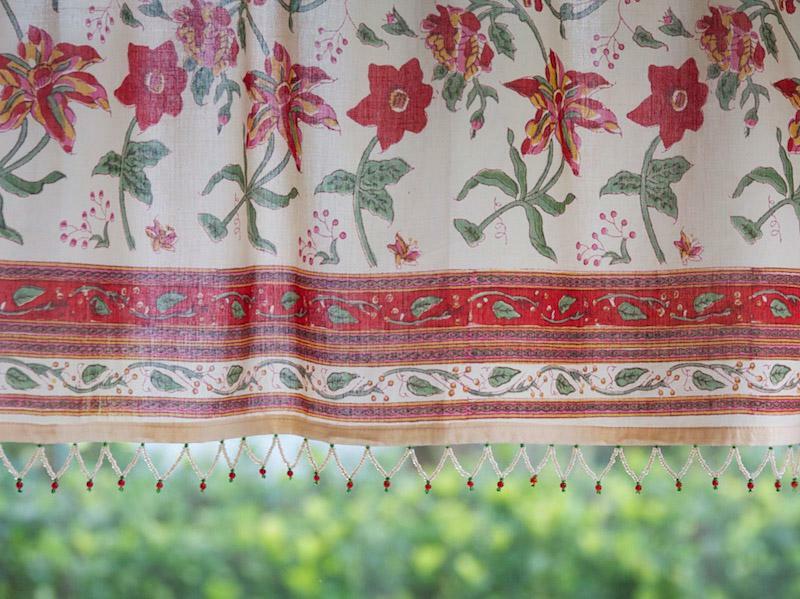 Lush vibrant red hibiscus blossoms and multi colored star gazer lilies hang languidly from verdant vines set against a deep honey gold tan ground. 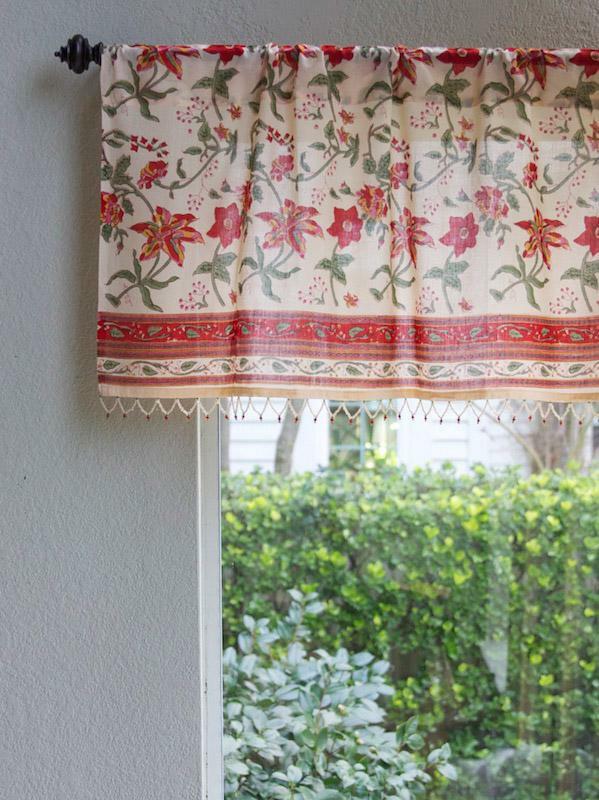 Beautiful, bright colors and handfuls of intricate, organic blooms spill ... [ read more ] across our bold, floral valances. 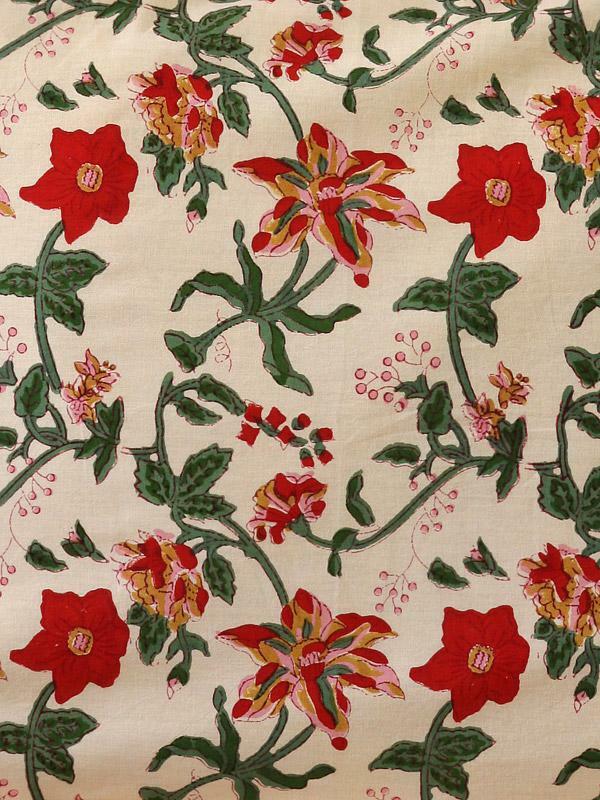 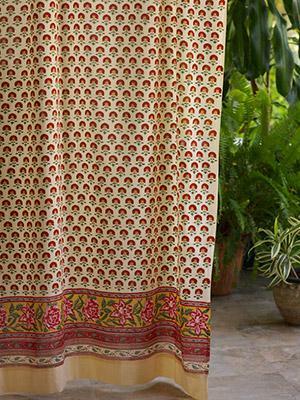 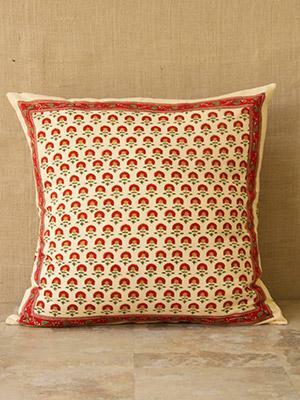 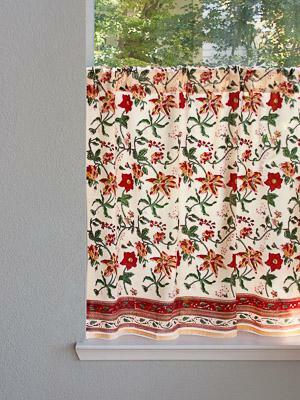 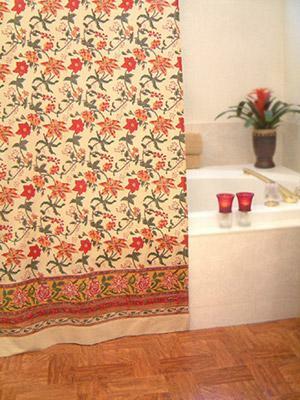 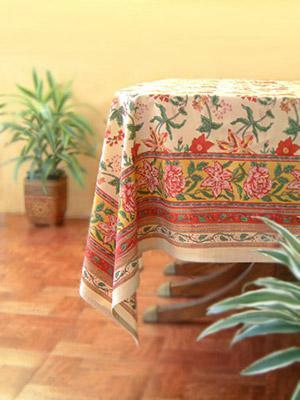 Top a sunny window with this cheerful, beaded print, and enjoy the fresh colors of a riotous garden every day! 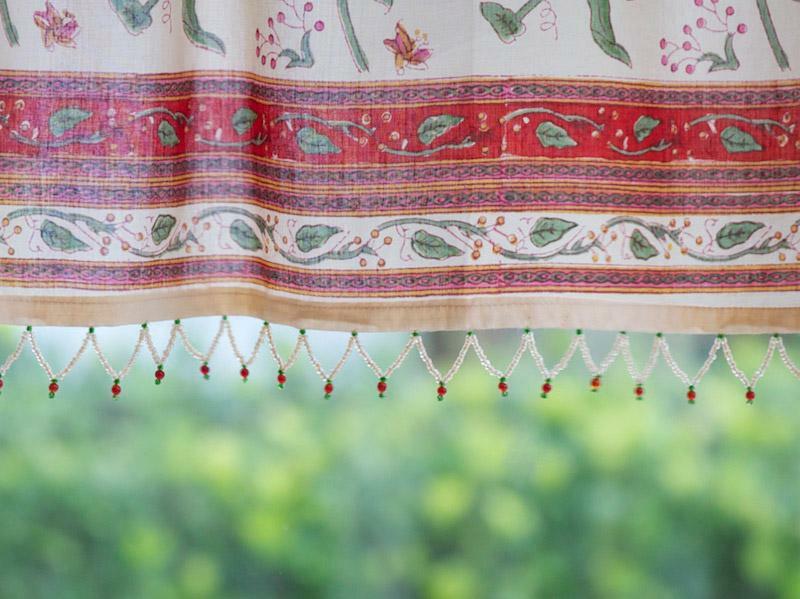 Handmade, vibrant accessories complete the look.